There are currently a whole crop of exciting British surf and lifestyle photographers coming up through the ranks, simultaneously taking inspiration from their talented forefathers and forging their own adventurous paths, with none typifying this approach better than Toby Butler. WL: Hey Toby, can you tell us a little about who you are and how you got started? TB: For sure, after spending a big chunk of my childhood growing up on the North Island of New Zealand myself and family flew back to the UK when I was 13. We moved around a lot after coming home, but for the past two years or so we’ve been in a little village just outside of Exeter. 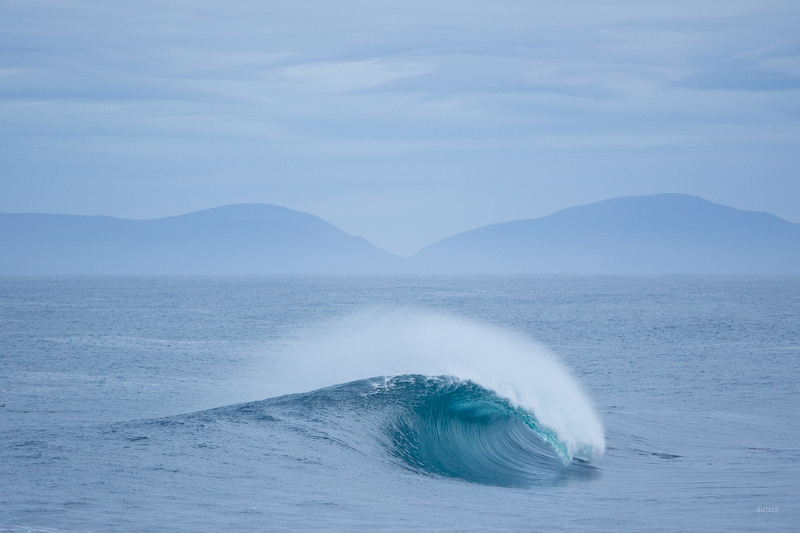 I would say that it’s been these past two years that I have grown a massive interest in surf photography too. Before that, I was more focused on the skate scene in and around the south-west. Once the family had settled down a little more I started to travel a bit myself. After seeing a bunch of good shots come out of Ireland and obsessing over the works of Mickey Smith and a few others, I decided that’s where I wanted to head first. I planned three weeks out there, which turned into four months. I’ve been there each winter since, from week missions to a month long tourism project. I love the place. I have also spent a heap of time in Europe, Spain and France and arrived back home from the states about two months ago. It’s been hectic, but it’s been a blast and a huge learning curve! WL: We we’re following your USA trip on your instagram and it looked super interesting, can you tell us a little bit more about it? TB: It was three months that started in San Diego and finished up in Anchorage, Alaska. I was out there with Christian Mcleod working on a few different projects. After landing in LA we started the hunt for a vehicle and managed to pick up this old Dodge cargo van pretty quickly. It was my first time driving on the right-hand side and I was suddenly on this manic eight or ten lane highway. About five minutes later the thing cuts out on me and I’m just stuck there on the slipway tripping, haha. I slowly managed to get the hang of it after that. We had a failed transmission in Orange County about a week after beginning the trip too, which left us with a pretty heavy deadline and ate a nice hole into our food budget. But overall it was a massive success for everyone involved, and we got to see so much of an amazing country. I think we ticked off about eight states in the end and Canada too, which was definitely a favourite. WL: And, I know its early days, but can you tell me where has been your favourite place to shoot thus far? TB: To pick my favourite place to shoot surfing is super hard. I don’t feel like I’ve been at it long enough to be able to say. I thought the few breaks I was lucky enough to come across in Spain this year were really special and I loved the vibe and surroundings out there. I also haven’t come across somewhere that matches Ireland yet. The place, people, and variety really is something else. Then there’s Cornwall, where I definitely feel most at home, and on its day is as epic as anywhere! See more of Toby’s work on his website here. And his Instagram here.